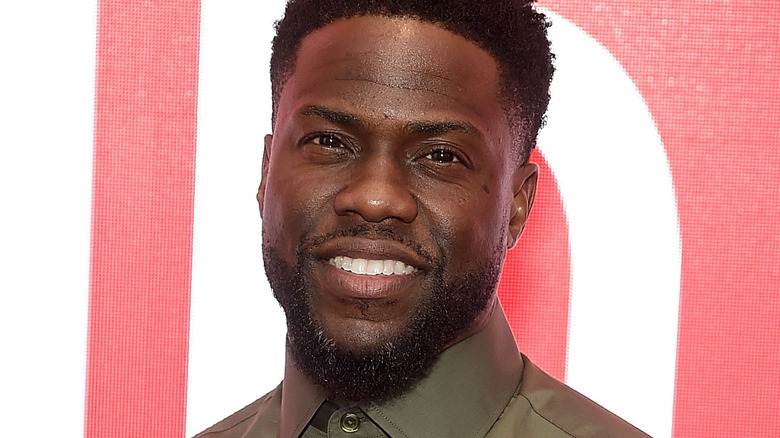 Kevin Hart has drawn from the Chance and Community Chest and scored an excellent card: Lead Lionsgate and Hasbro's Live-Action Monopoly Movie. That's right — Deadline confirmed on Thursday that Hart is set to start in Monopoly, set up at Lionsgate with director Tim Story attached. Inspired by Hasbro's iconic board game that has started many a family fight in the 84 years since its release, Monopoly is said to be in "final negotiations," though a production start date hasn't yet been set. Lionsgate must find a writer to pen the script before it can map out a shooting schedule for the project. In addition to starring, Hart will serve as a producer on Monopoly, as will his HartBeat Productions partners John Cheng and Carli Haney. Story, too, will produce, working alongside Prince of Persia executive producer Sharla Sumpter. Of course, Hasbro is overseeing as a co-producer in conjunction with Lionsgate; the company's Allspark Pictures banner is on board with producers Stephen Davis, Brian Goldner, and Greg Mooradian. Lionsgate didn't offer any details on Hart's character, nor did it provide specifics about the film's plot. Deadline notes that while Monopoly doesn't have a writer as of now, an early version of the film "centered on a young man from the game's modest Baltic Avenue on a quest to make a fortune." If that's the story that Story (play on words definitely intended, we couldn't help it) and the scribe who eventually boards the film decide to go with, it's safe to assume that Hart will portray the Baltic Avenue-born guy who has his sights set on something much bigger than his humble little life. Monopoly marks another collaboration between Hart and Story, who previously teamed up for Ride Along and Ride Along 2. Those films both grossed over $100 million at the global box office, despite being complete bombs with fans and critics alike. The board game-based flick could provide a chance for the duo to redeem themselves, proving that when they partner up, good things can happen. Hart certainly has the skills to make Monopoly a total chuckle-fest, given his experience as a comic through his ultra-successful stand-up specials Laugh at My Pain, What Now?, and Let Me Explain. Story has also done well for himself, finding no shortage of projects over the years and establishing a strong audience with films like Barbershop, Taxi, Think Like a Man, and Think Like a Man Too. He also directed 2005's Fantastic Four and 2007's Fantastic Four: Rise of the Silver Surfer, so he totally knows how to deliver action if Monopoly so requires it. That said, there's no ignoring that movies based on games (board and video alike) are incredibly tricky to get right. The military sci-fi flick Battleship, loosely inspired by the tabletop guessing game of the same name, didn't sink at the box office when it debuted in 2012, but critics and audiences definitely didn't love it. 1985's Clue was a critical flop, but wound up turning into a cult classic years later. So long as Story makes smart decisions, Monopoly could be a hit — and might even create a baseline for what a board game movie should look and feel like moving forward. Hart's casting in Monopoly comes at an interesting time in his career. The comedian-actor was initially set to host the 91st Academy Awards in February, but after homophobic remarks he made in the past came to light again and after he refused to apologize for the insensitive things he said, controversy clouded the situation, pushed Hart to step down, and spurred the Academy to plan for the 2019 Oscars to go without a host for the first time in 30 years. Though many may be flummoxed by Lionsgate's decision to cast Hart in Monopoly following all that mess, from a strictly-business standpoint, it's hard to fault the studio. Hart has been on a hot streak lately, recently appearing in Jumanji: Welcome to the Jungle, Night School, and Central Intelligence — and kicking off 2019 by starring opposite Bryan Cranston in The Upside, which has blazed up the usually-cool January box office. He'll wrap up the year with another huge film, the untitled sequel to Welcome to the Jungle, as well. It seems evident Lionsgate is hoping to capitalize on Hart's commercial appeal — even with the backlash he's been hit with in recent weeks — for Monopoly. While Hart works on the Jumanji: Welcome to the Jungle sequel this year, Story will finish post-production on his Shaft reboot, Son of Shaft, and then roll it out in theaters on June 14. Check back with Looper for updates on Monopoly as they become available.